Looks like they used Frosta stools from Ikea, plus a bunch of Contemporary Home toilet lid covers from Target (which come in a bout a zillion colors). 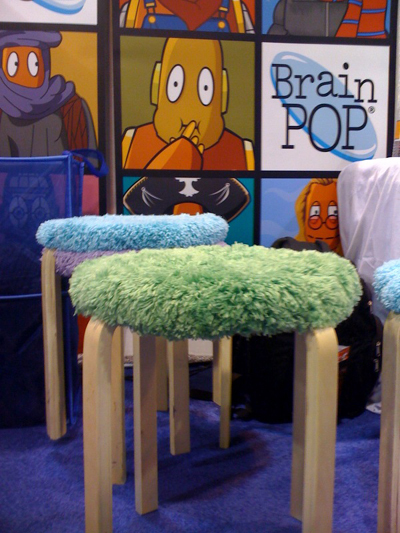 They suggest they'd be great for classrooms - I agree! But also I think they could be pretty cool for your house! They even still stack with the fluffy toppings on!! Super-good idea. Although I'll probably never do it. Oh, to have an Ikea near here......! Honestly I think I may get a few of these and use this trick to add color!